Mumbai is a city of contrasts that surprised me in so many ways. For one, Mumbai is India’s richest city though I was told an estimated half of its population lives in a slum. In fact, a 15-minute subway ride will take you from one of the world’s biggest and most densely populated slums to the world’s most expensive home – a 27-story behemoth valued in upwards of USD 1 billion. 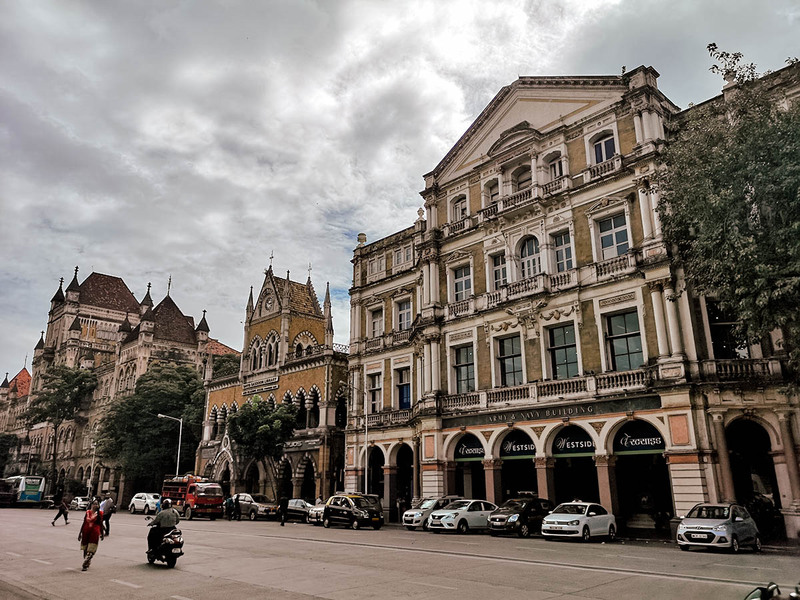 Many tourists stay in South Mumbai which is home to some of the world’s grandest colonial-era buildings and an equally impressive Art Deco heritage. I never expected this, but Mumbai has the second largest collection of Art Deco buildings in the world, behind only Miami. Walking from the historic Fort and Colaba areas to Marine Drive made me feel like I was going from Cambridge to Miami. At times, it didn’t feel like I was in Asia at all! It was a surreal and unexpected experience, especially after coming from a starkly different city like Kolkata. Mumbai is my favorite city in India and a place I would love to visit again and again. If you’re making that first ever trip to Mumbai, then I hope this travel guide can help you plan your trip. Applying for an e-visa to India was fast and easy. Everything is done online and my e-visa was emailed to me in a little over a day after I submitted the application and made payment. You can check my post on applying for an e-Visa to India for a step-by-step process. Mumbai, formerly known as Bombay, is the coastal capital of Maharashtra state in west-central India. It’s the country’s financial and commercial capital and its principal port on the Arabian Sea. With an estimated population exceeding 12 million, it’s the most populous city in India that’s home to some of the country’s richest neighborhoods and it’s biggest slums. Aside from being India’s economic hub, it’s also the country’s entertainment capital. It’s home to Bollywood which is the most prolific film industry in the world. Bollywood is known to produce well over a thousand feature films each year, more than double its counterpart in Hollywood. Mumbai sees fairly dramatic weather conditions. The temperature doesn’t fluctuate as much throughout the year but it experiences dry periods followed by months of intensely heavy rain, much more than what we’re accustomed to in a similarly monsoon-heavy country like the Philippines. For this reason, it’s best to visit Mumbai around mid-October till February when the weather is ideal. OCT-FEB: Weather-wise, this is the best time to visit Mumbai. There are little to no rainy days and temperatures are at their lowest. If you’re interested in the arts, then February is a great time to go, when the popular Kala Ghoda Arts Festival is held in the first half of the month. MAR-MAY: This is summer in Mumbai. It’s still the dry season but temperatures climb during these months and reach their peak in May, which is often the hottest time of the year in the city. JUN-SEPT: This is monsoon season in Mumbai. One of my guides described this stretch as a period of non-stop rain so it’s probably not the best time to go, especially from June till August. I went in mid-September and experienced moments of rain but nothing too bad. Follow the link for more on the weather in Mumbai. I’ve also created the average temperature and annual rainfall graphs below. Suggested months to visit are colored in orange. Mumbai is located on the western coast of India. I flew in from Kolkata but there are many ways to get there depending on where you are. BY PLANE: People flying in to Mumbai will arrive at Chhatrapati Shivaji Airport. It’s a beautiful airport that’s the second busiest in India, after Indira Gandhi Airport in Delhi. Traveling by air is the fastest way to get around between cities but it’s also the most expensive. I suggest using an airline aggregator like Skyscanner to search for the cheapest flights to Mumbai from wherever you are. I used Skyscanner to search for and book all my flights for this trip to India. At the airport, you’ll find booths where you can book a prepaid taxi to your hotel. That’s what I did. I paid INR 675 for a non-aircon taxi to the Fort area, but air-conditioned taxis were also available for INR 810. If you’d like to book a private transfer in advance, then you can do so through Klook. BY TRAIN: I was on a tight schedule so I flew from city to city in India, but traveling by train is considered by many to be the best way to experience this vast country. They have an extensive rail network that can get you pretty much anywhere you need to go. I rode the train from Delhi to Agra and contrary to the overcrowded trains often portrayed in Hollywood, train travel in India is comfortable and pleasant. It’s considerably cheaper than flights and the scenery is much better too. The easiest way to book train tickets in India is through 12Go Asia. It’ll save you the trouble of having to use the IRCTC website which can be very frustrating to deal with. For my Delhi to Agra trip, I tried purchasing my tickets from the IRCTC website but I gave up after I had trouble registering and making payment. It’s a convoluted process so I suggest booking through 12Go Asia instead. BY BUS: I haven’t experienced it but another option is to travel by bus. Based on what I’ve read, the cost between trains and sleeper buses are comparable, though buses can sometimes be more convenient because of the location of the bus stations. However, buses are also considered to be less comfortable in general than trains. You can check out this helpful article from the Hippie in Heels for information on bus travel in India. Bus tickets can be purchased online through redbus.in or makemytrip.com. 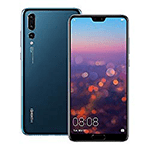 OTHER OPTIONS: Depending on where you’re coming from, there may be other ways to get to Mumbai so I suggest checking 12Go Asia to find route options available to you. You can click on the link or use the widget below. Klook also offers private transfers to and from Mumbai from various cities in the region. The unit of currency in India is the Indian Rupee (INR). I don’t normally do this, but I exchanged currency at my hotel because I arrived late at night and wanted to pay for my room in cash. They gave me a decent rate but you’ll likely find much better rates at currency exchange offices. You can find several recommendations on Travelvui. They’re scattered throughout the city but if you’re staying in South Mumbai, then the most convenient are UAE Exchange near Indira Dock and Thomas Cook at Dr. D.N. Road. If you’re uncomfortable bringing too much foreign currency into India, then a better alternative might be to withdraw INR from an ATM. Rates are comparable. Just be sure to let your bank know that you’re planning on using your ATM abroad as it may have to be activated for overseas use. In my experience, my ATM card works in some machines but not in others. NOTE: Some ATM machines may ask if you want to proceed “with or without conversion”. NEVER proceed with conversion because this usually leads to horrendous exchange rates. I learned this the hard way. Proceeding with conversion allows the foreign bank operating the ATM to do the conversion, usually at rates far less favorable than your local bank’s. According to this article, the difference between rates can be as high as 10%. 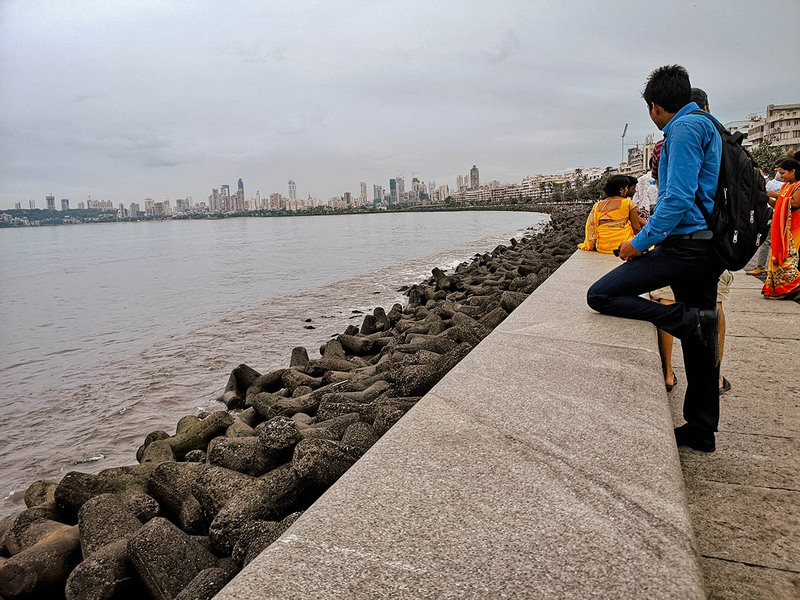 Mumbai is a big city with many interesting neighborhoods, but based on my experience, it seems that South Mumbai is the ideal place to stay for first-time visitors. Surrounded by water, it’s a pleasant area in the historical part of the city that’s home to major landmarks like the Gateway of India, the Taj Mahal Palace hotel, Chhatrapati Shivaji Maharaj Terminus (CSMT), Bombay High Court, and the Prince of Wales Musem, not to mention many restaurants, cafes, shops, and train stations. The Fort area is Mumbai’s business district. 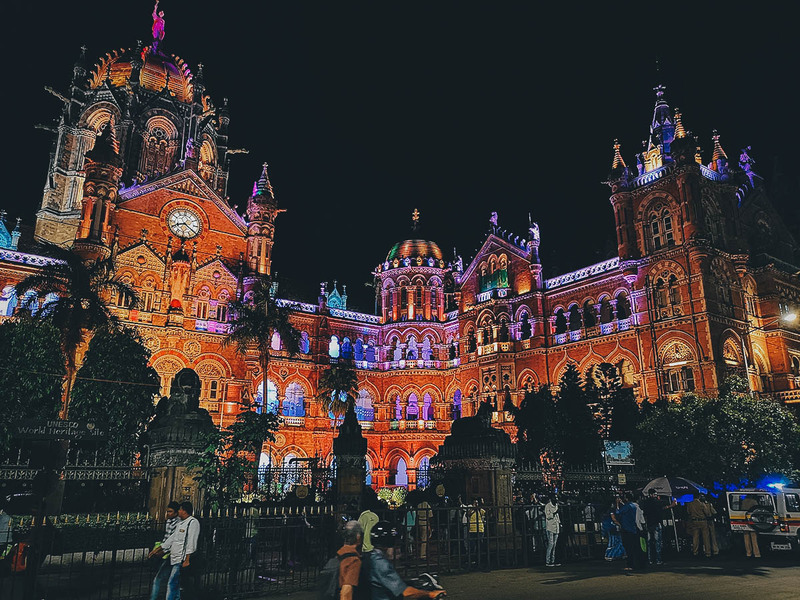 It’s home to many of the city’s most important historical buildings like CSMT, Bombay High Court, and the Prince of Wales Museum. It’s also home to the Kala Ghoda art district which is where I stayed. I loved being in this area because not only was I surrounded by beautiful Gothic buildings that made me feel like I was in England, but I was close to many shops, cafes, street food stalls, and restaurants as well. The area was always buzzing with activity so it felt safe no matter what time of day. I stayed at Hotel Flora Fountain, a clean and conveniently located boutique hotel about a 10-minute walk from CSMT. You can book a room there on Booking.com or Agoda. If you’d like to stay in the Fort area but don’t think this is the right hotel for you, then you can check out alternate listings on AirBnB and Booking.com. 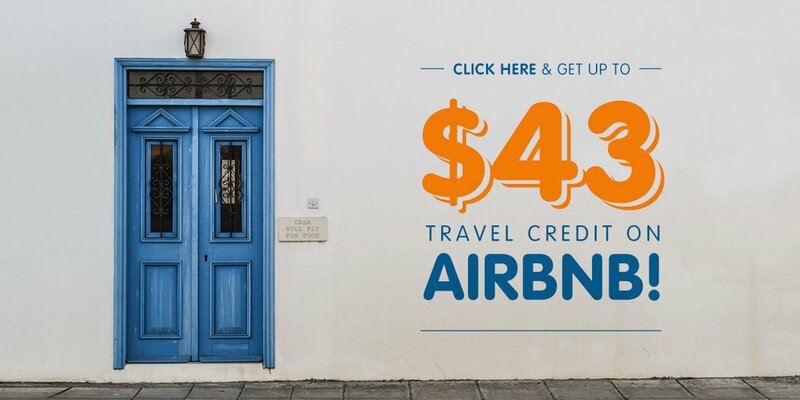 If you’re new to AirBnB, then you can get up to USD 43 free travel credit when you sign up via this link. Located in the southernmost part of the city, Colaba is where you’ll find the most iconic structure in Mumbai – the Gateway of India. It’s home to a wealth of historical buildings and tree-lined streets filled with interesting shops, restaurants, and cafes. Like the Fort area, I had a great time exploring Colaba on foot. 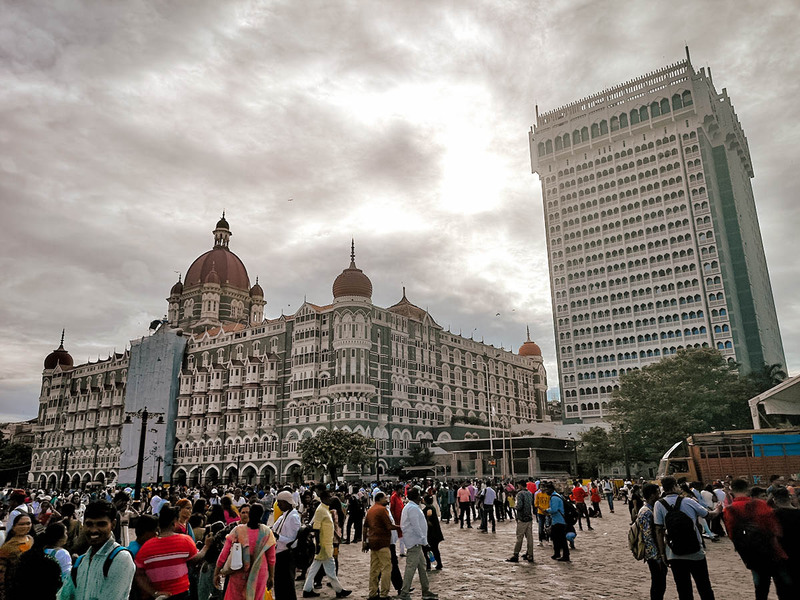 Within earshot of the Gateway of India are the Taj Mahal Palace and Taj Mahal Tower (Booking.com | Agoda), two structures that make up the city’s most iconic hotel. The Taj Mahal Palace is the original hotel while the Taj Mahal Tower is a newer wing built seventy years later. Boasting unparalleled views of the Arabian Sea, you can book a room here for a truly memorable stay in Mumbai. For the more budget-conscious (like me), you can search for listings in Colaba on Booking.com or AirBnB. As advised, AirBnB newbies can get up to USD 43 free travel credit by signing up through this link. If you’re a fan of ocean views and/or Art Deco architecture, then this is where you’ll probably want to be. Also known as the Queen’s Necklace, Marine Drive is a scenic 3.6 km stretch of coastal road fronting the Arabian Sea. Walking along this road, it almost feels like you’re in Miami. As described, Mumbai is known for having the second-most Art Deco buildings in the world, many of which can be found along Marine Drive. You can find accommodations on or around Marine Drive on Booking.com or AirBnB. Again, new AirBnB users can get up to USD 43 free travel credit when you register using this link. 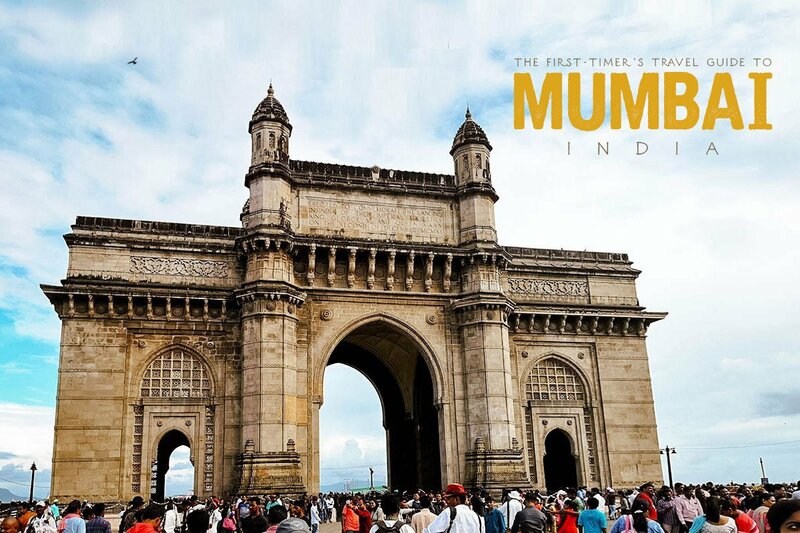 As described, this arch monument is the most iconic structure in Mumbai. It was built in 1911 to commemorate the landing of King George V and Queen Mary on their visit to India. 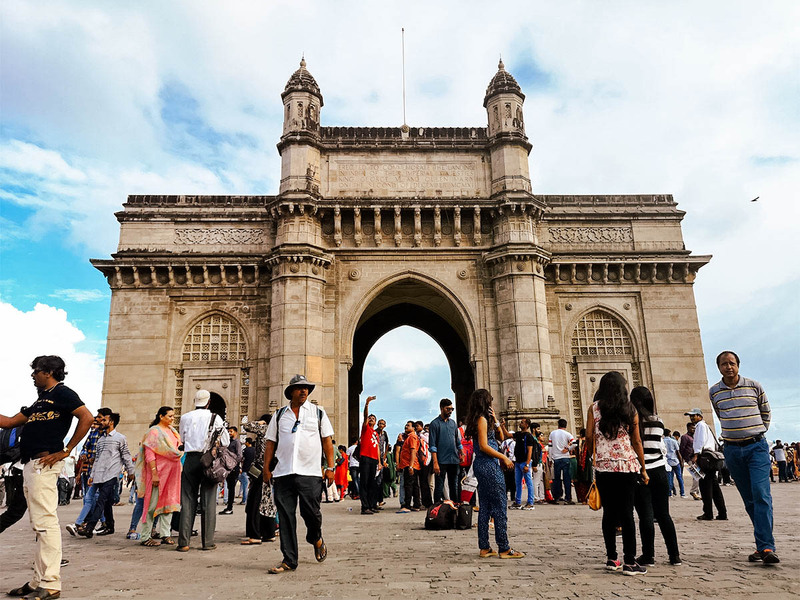 Like the Eiffel Tower in Paris or the Statue of Liberty in New York City, it’s the city’s most popular attraction and universally considered to be a symbol of Mumbai. The Gateway is impressive from land, but I’ve read that it looks even more majestic when viewed from the Arabian Sea. The ferry to Elephanta Island leaves from Colaba jetty, so visiting the Elephanta Caves on a day trip is a great opportunity to see the Gateway from the other side. Facing the Gateway of India are the aforementioned Taj Mahal Palace and Tower, the most famous hotel in Mumbai. Dev, my guide on the Mumbai public transportation tour, told me an interesting story about how this iconic hotel came to be. According to Dev, the hotel was built by a wealthy Indian industrialist named Jamsetji Tata. He built the Taj Mahal Palace after being denied entry into the city’s grandest hotel at the time – Watson’s Hotel. Purported to be for whites only, he built the Taj out of spite and made it open to anyone regardless of skin color or social status. In Dev’s words, it was his “ultimate revenge”. Chhatrapati Shivaji Maharaj Terminus, or CSMT for short, is one of the grandest and most striking examples of Gothic architecture in Mumbai. A UNESCO World Heritage Site, it’s Mumbai’s main railway station and the heart of its extensive metro system. If you stay in South Mumbai and plan to get around by train, then chances are you’ll be going through this building at least once or twice a day. Be sure to visit the CSMT in the morning and evening. The building looks impressive at any time of the day but it looks absolutely magical at night when it’s lit up like this. 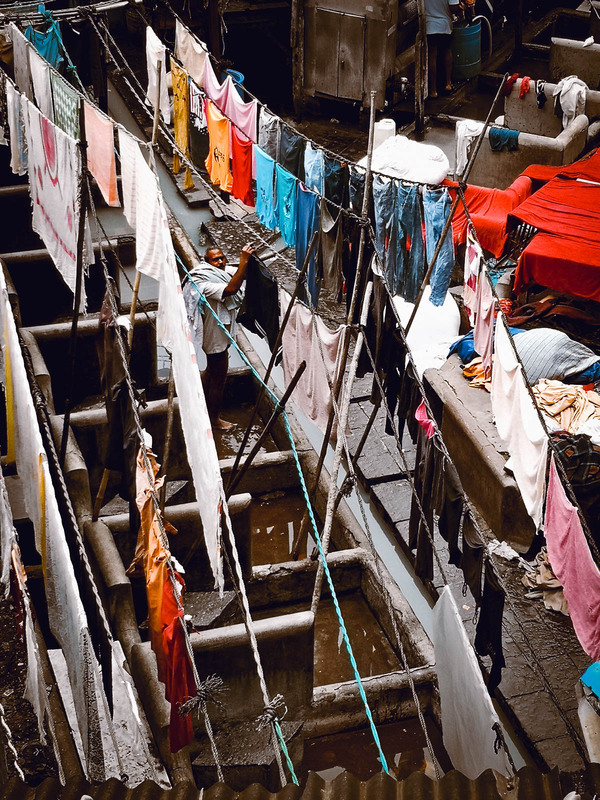 Dhobi Ghat is the world’s biggest open-air laundry. An estimated half a million pieces of clothing from homes, hotels, and hospitals throughout the city are brought here to be washed, dried, and ironed every day. 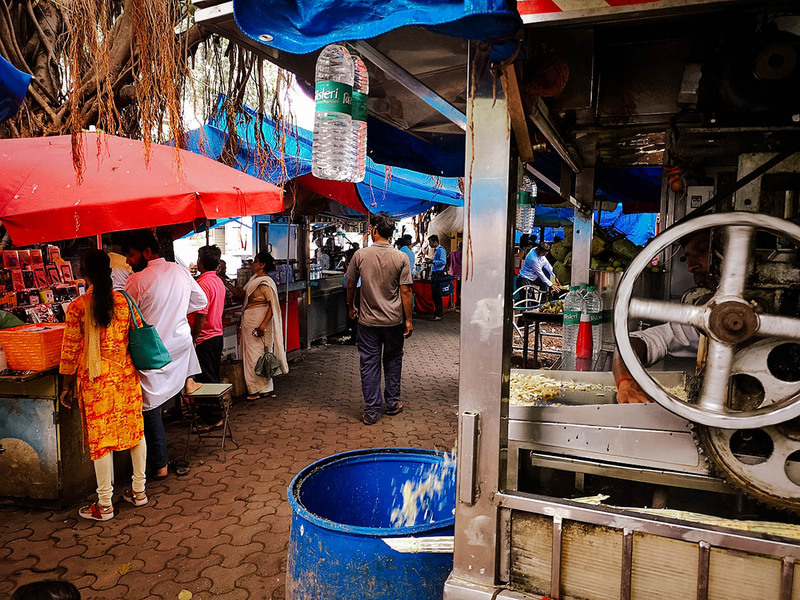 I visited Dhobi Ghat on this public transportation tour but you can easily visit dhobi ghat on your own by taking the train to Mahalaxmi station. We arrived when most of the washing had already been done so it’s best to get here early – around 6-8AM – if you want to see the dhobis in action. You can watch them from the bridge just a few paces from from Mahalxmi station. NOTE: You can walk down the stairs from the bridge to get closer to the washing area, though I’m not sure how advisable that is. Read my post on Dhobi Ghat and this Mumbai public transportation tour for more pictures and information. Have you seen the movie Slumdog Millionaire? Some scenes were filmed here in Dharavi, which is known for being one of the world’s largest and densest slums. From what I understand, many tourists have wanted to visit Dharavi since watching that film, mainly to see the extent of the poverty there. If you’re one of those people, then don’t bother because poverty isn’t a tourist attraction. 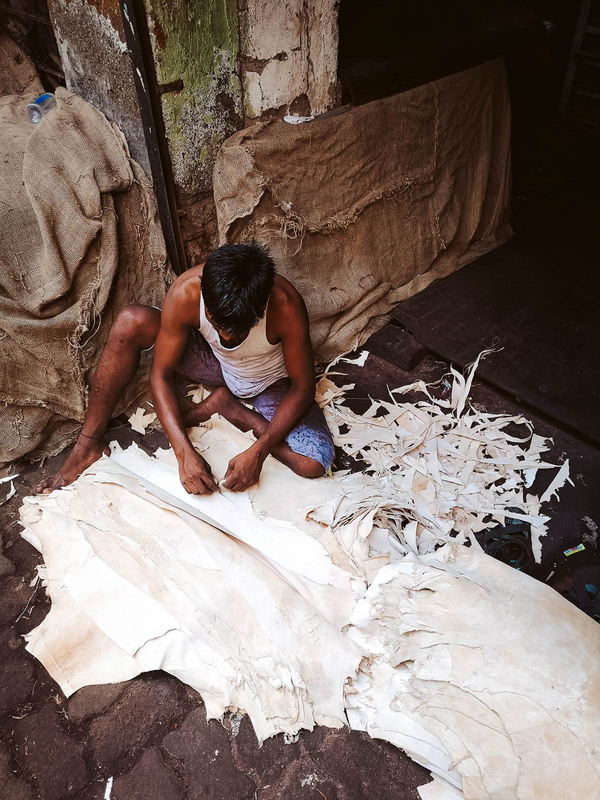 But if you’d like to see another side to Dharavi, the side that generates up to 1 billion US dollars in annual revenue, then going on a guided tour with a resident may be of interest to you. I went on this Dharavi slum tour and it was one of the most interesting things I did in India. Check out my post on Dharavi for more pictures and information. Chor Bazaar was another stop on our public transportation tour. 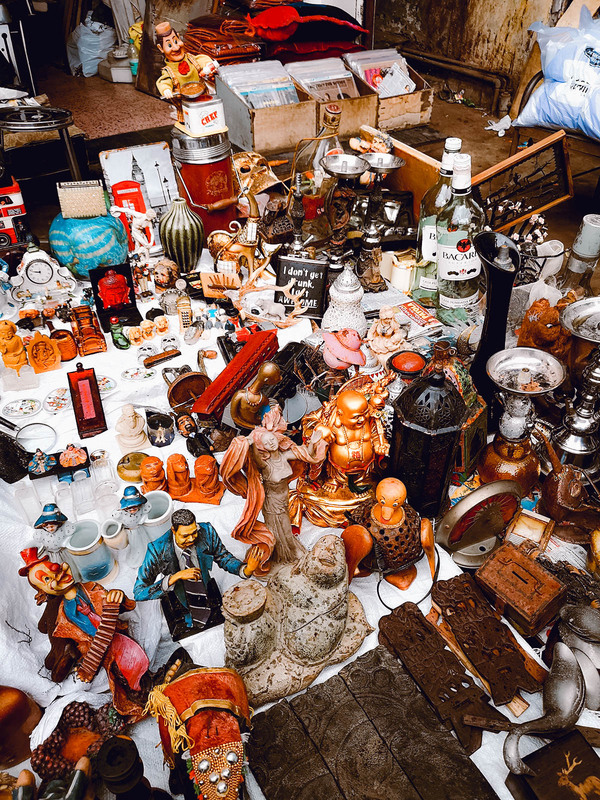 It’s one of the largest flea markets in India and where you’ll find all kinds of new and used goods like antiques, mobile phones, clothing overruns, and automobile parts. Interestingly, Chor Bazaar in Hindi literally means “thieves’ bazaar” and is in reference to a violin that was once allegedly stolen from Queen Victoria. 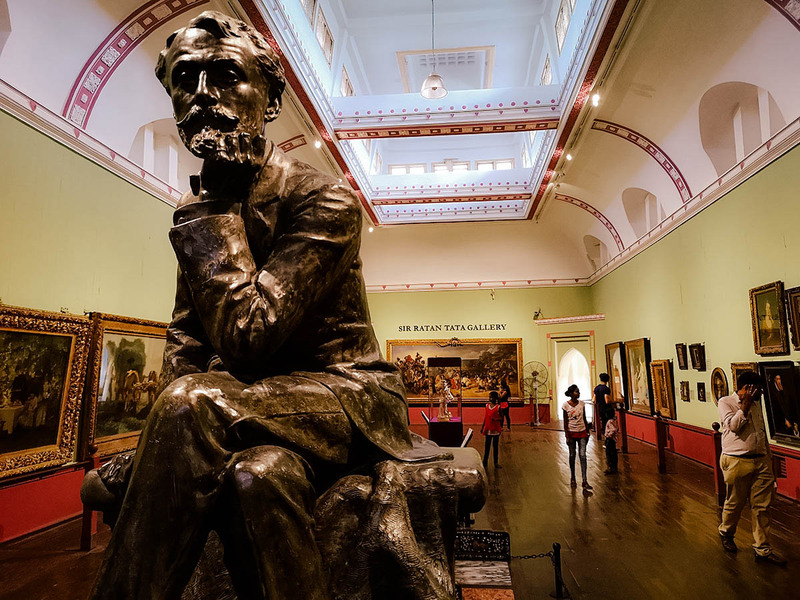 Formerly known as the Prince of Wales Museum, Chhatrapati Shivaji Maharaj Vastu Sangrahalaya (or CSMVS for short) is Mumbai’s preeminent cultural attraction. Located in the Kala Ghoda art district in the Fort area, it’s home to a large collection of paintings, sculptures, religious artifacts, weapons, and archaeological finds. As interesting as the museum’s collection is the building itself, which was designed by the same person who created the Gateway of India. Chowpatty beach is a pleasant stretch of beach located on one end of Marine Drive. 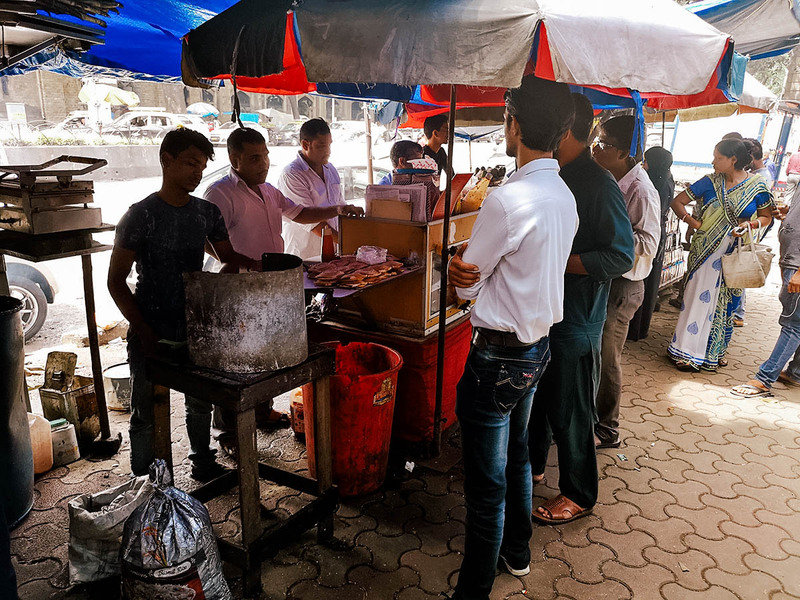 I went on a food tour in Mumbai and we stopped here to have pav bhaji and enjoy the ocean view from one of its many beachside eateries. If you have some time to kill and want to get away from the chaos of Mumbai, then this is a good place to go. Chowpatty beach is also the final resting place for an estimated 150,000 Lord Ganesh idols during Ganesh Chaturthi, a Hindu festival celebrating the birth of Ganesha. 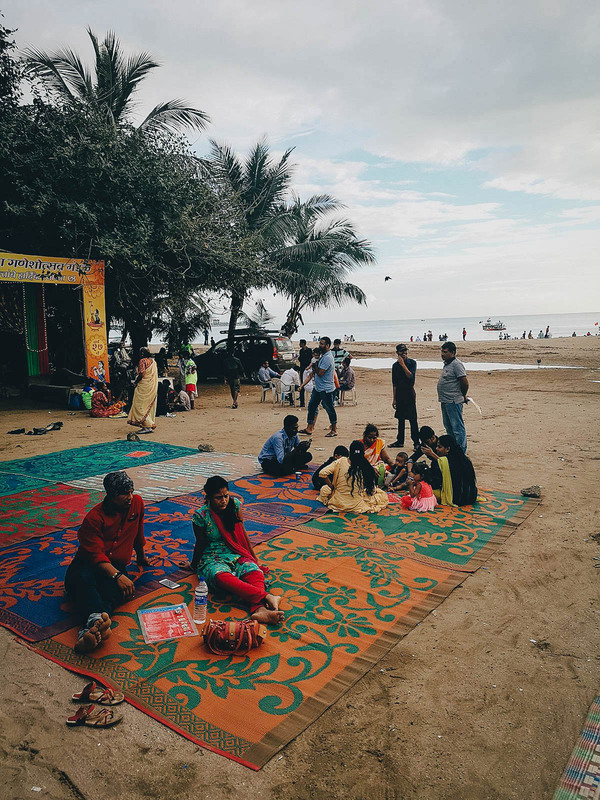 I was lucky to be in Mumbai (and on this beach) for the festival and witnessed many idols being brought to the beach to be immersed in the Arabian Sea. As described, I don’t think there’s a better place to stay for first-time visitors than the Fort and Colaba areas. It’s home to beautiful Gothic buildings the likes of which I haven’t seen anywhere else in Asia. It’s so interesting to see I found myself walking around with my neck craned most of the time. There are plenty of cool shops and cafes to discover here so if you have the time, then I suggest spending a morning or afternoon just aimlessly exploring the area. I was surprised to learn that Mumbai has the second most Art Deco buildings in the world, many of which can be found along scenic Marine Drive. It’s referred as the Queen’s Necklace because of how it looks at night. From the sky, all the lights from the apartment buildings along crescent-shaped Marine Drive make it look like a woman’s shimmering necklace. If you’re a fan of Art Deco and/or the ocean, then you’re going to enjoy taking a stroll along Marine Drive. If you’re feeling fit and have the time, then maybe you can walk the entire 3.6 km stretch all the way to Chowpatty Beach. The dabawwalas are lunchtime heroes. 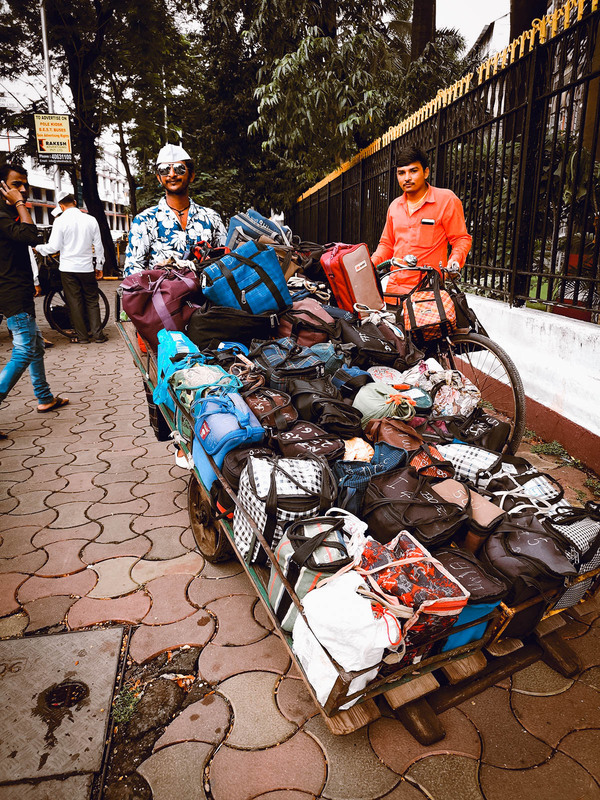 They’ve been delivering home-cooked lunches to Mumbai’s office workers for well over a hundred years. Known for their mind-boggling efficiency, it’s estimated that they make just one mistake in every 16 million deliveries. The dabawwalas congregate outside Churchgate Station in South Mumbai every day during the work week before lunch. Churchgate station was the last stop on my public transportation tour, but you can go there on your own to catch them before they disperse to make their deliveries. This was the main reason why I was in Mumbai, to document this food tour from our friends at A Chef’s Tour. A Chef’s Tour gives some of the best food tours and this one is no exception. You can check out my post on the Mumbai Secret Street Eats tour for more pictures and information. If you don’t have the time to hunt down the best places to eat on your own, then it’s always a great idea to go on a food tour with a knowledgeable local. You can book this tour through A Chef’s Tour or Get Your Guide. 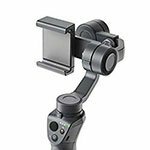 Be sure to check both links as one or the other may be offering a discount. Even if we’ve never seen a Bollywood movie – and Slumdog Millionaire doesn’t count because it’s actually a British film – many of us have at least heard of it. It’s the world’s biggest movie industry in terms of film production and it’s based right here in Mumbai. In fact, “Bollywood” is a portmanteau word for “Bombay” and “Hollywood”. I don’t know anything about Indian cinema, but even I would have loved to go on a Bollywood tour if I had more time in Mumbai. It’s become such a massive industry that even casual observers like myself would probably find it interesting. Plus, I like all the dancing. You can book a Bollywood tour on Klook or Get Your Guide. I linked to Get Your Guide’s most highly-rated Bollywood tour but they actually offer a few variations, all of which you can view here. If you have enough time in Mumbai, then going on a day trip to Elephanta Island may be of interest to you. A UNESCO World Heritage Site, the Elephanta Caves are a collection of cave temples mostly dedicated to the Hindu god Shiva. Located about 10 kilometres (6.2 miles) east of Mumbai, it takes around an hour to get there by ferry. You can easily visit Elephanta Island on your own from Colaba jetty. You can purchase tickets from the MTDC office at the Gateway of India for INR 130-150. You can check wikitravel for more details. If you’d rather go on a guided tour, then you can book one through Klook or Get Your Guide. 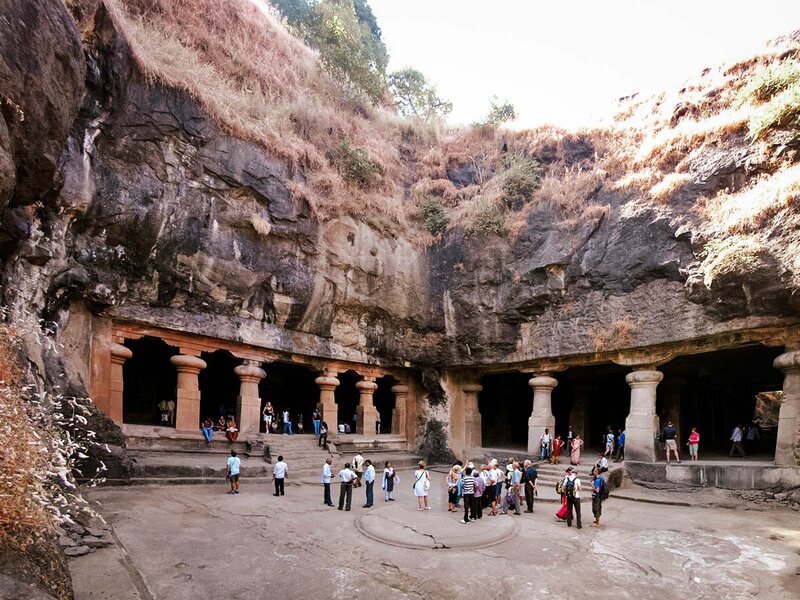 I linked to Get Your Guide’s most popular tour but you can search through their list of Elephanta Cave tours to find the one that best suits you. Unfortunately, Ren didn’t come with me to India. When she does join me on a trip, we usually take a cooking class. 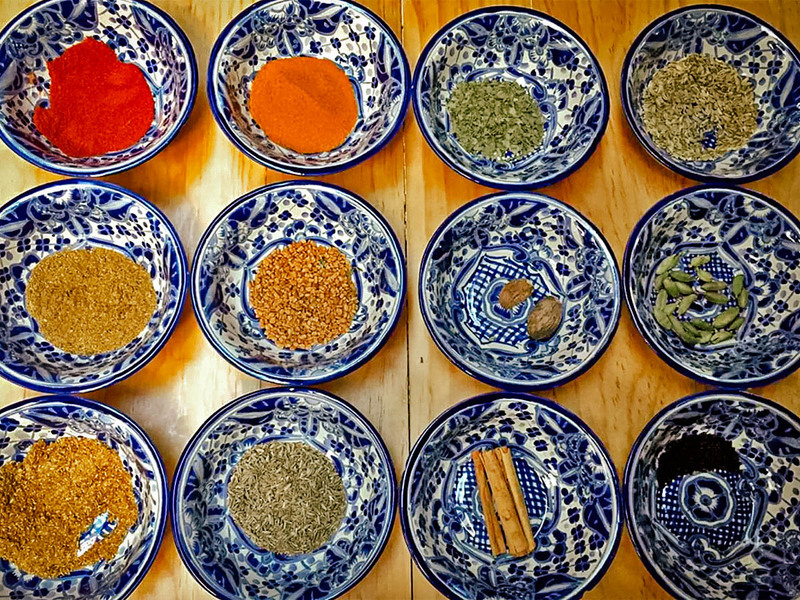 We’ve taken cooking classes in Bali, Hoi An, Phuket, and Chiang Mai. It’s just a fun, hands on way of getting to know the local cuisine. If you have a passion for Indian food like I do, then you may want to take an Indian cooking class. Cookly is an online booking platform that offers cooking classes in many cities around the world, including Mumbai. They’re basically a tour provider that focuses on cooking classes so in my opinion, there’s no better place to look for cooking classes than on Cookly. Unfortunately, they only have one in Mumbai right now but I do expect them to add more soon. This interesting veggie sandwich is quintessential Mumbai street food. It’s made with a medley of ingredients like beetroot, boiled potato, bell pepper, cucumber, onion, chaat masala, and mint chutney sandwiched between generously buttered slices of white bread that’s toasted in a metal clamp over coals. The toasted sandwich is drizzled with ketchup and served with a dollop of more chutney before being sliced into finger-friendly pieces. 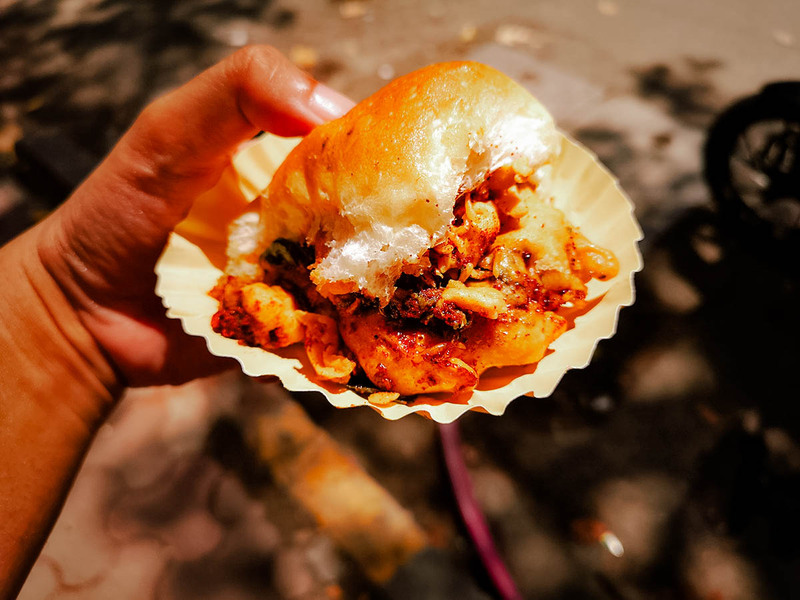 You can find sandwiches like this one all over the city but in the Fort area, one of the most popular is Sanjay Singh Sandwichwala. He’s been selling sandwiches near the corner of Kaikhushru Dubash Marg and Mahatma Gandhi Road in Kala Ghoda for almost 25 years. There’s no clear sign so just look for the sandwich stall with all the people around it. He sells hundreds of sandwiches every day so you’re sure to find a crowd gathered no matter what time of day. From the Bombay sandwich to the Bombay burger. Like the previous dish, the vada pav is a type of vegetarian sandwich consisting of a bread bun stuffed with an overflowing amount of deep-fried potato fritters, one or more chutneys, and different seasonings. 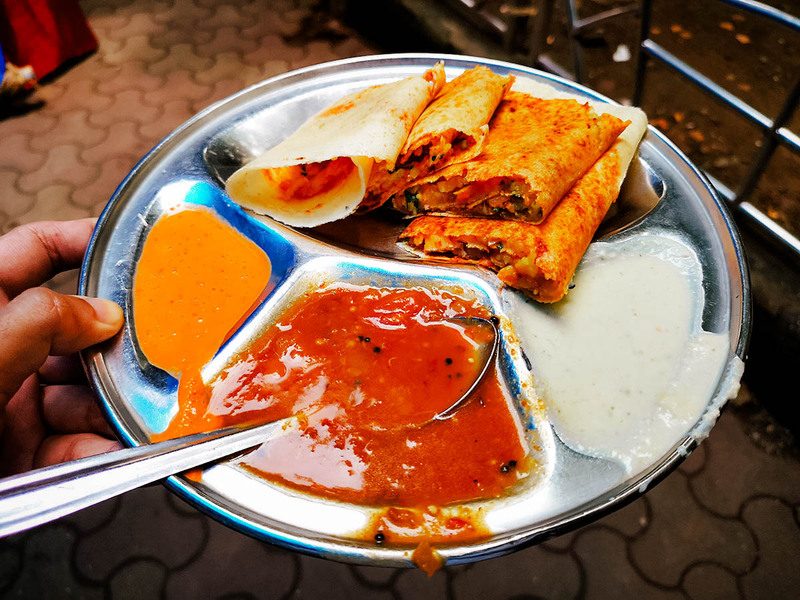 It’s one of the city’s most beloved street food dishes and something I’d be happy to have on any trip to Mumbai. Ashok Vada Pav near Kirti College in Dadar has a reputation for serving some of the best vada pav in Mumbai. Judging from the pushy crowd gathered around its stall, it looks to be true. I had to wait over half an hour to get one vada pav simply because there were so many people competing for the next one. And many customers were getting four, five, six burgers to go! If you want to eat here, then you need to elbow some people in the head and be aggressive. 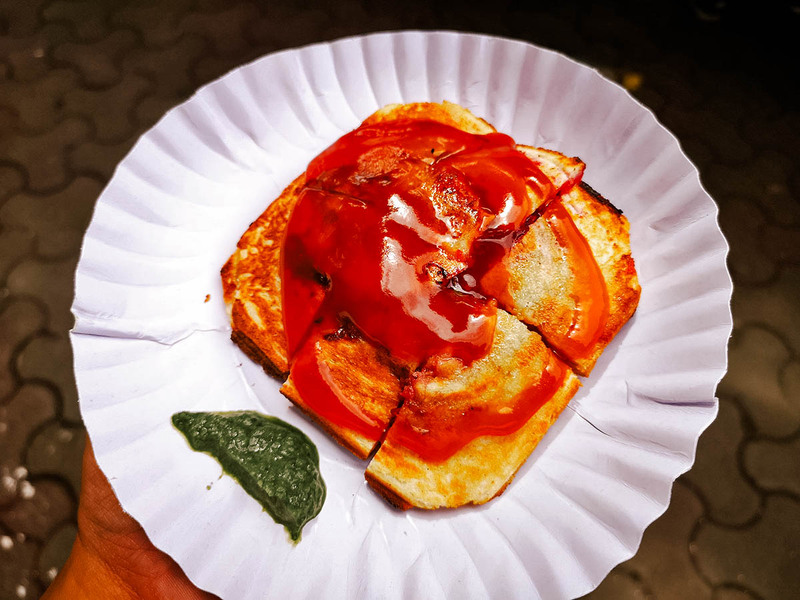 Ashok Vada Pav is in a pleasant tree-lined neighborhood though it’s not that easy to get to. The closest metro stop is Dadar station which is about a 20-minute walk from the stall. Gomantak Boarding House is near here so if you’re planning on having Bombay duck, then you can visit both places on the same trip. Mumbai is surrounded by the Arabian Sea so it’s not surprising to find great seafood here. 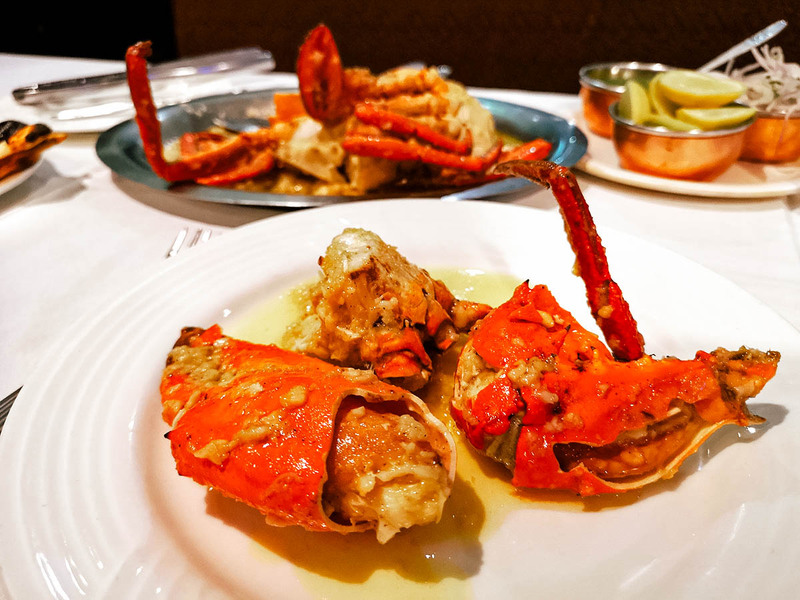 Trishna is the city’s most famous seafood restaurant known for doing one dish exceptionally well – butter garlic crab. If you love crab like I do, then you need to eat here. It was succulent and absolutely delicious, especially when eaten with some freshly baked butter garlic naan. 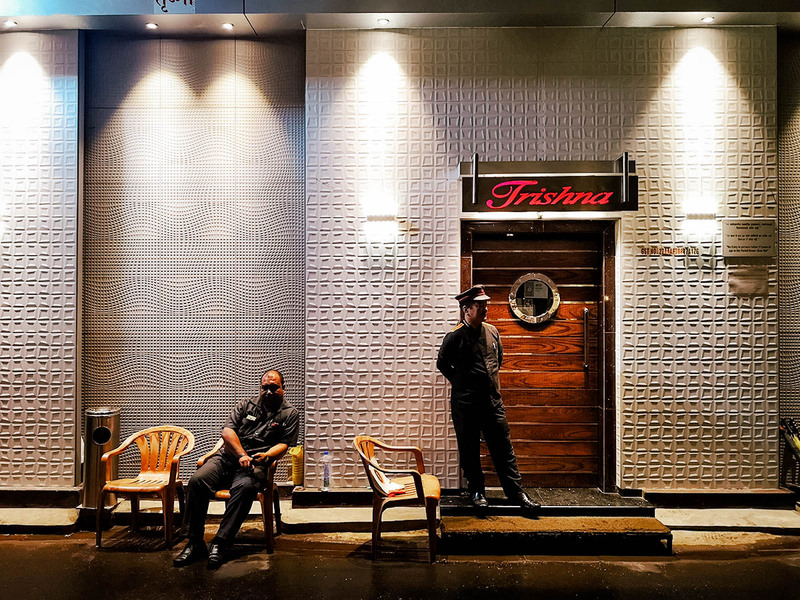 Trishna is located in the artsy Kala Ghoda neighborhood of Fort, South Mumbai. This place is located a few doors down from Hotel Flora Fountain so this was where I enjoyed my first meal in Mumbai. 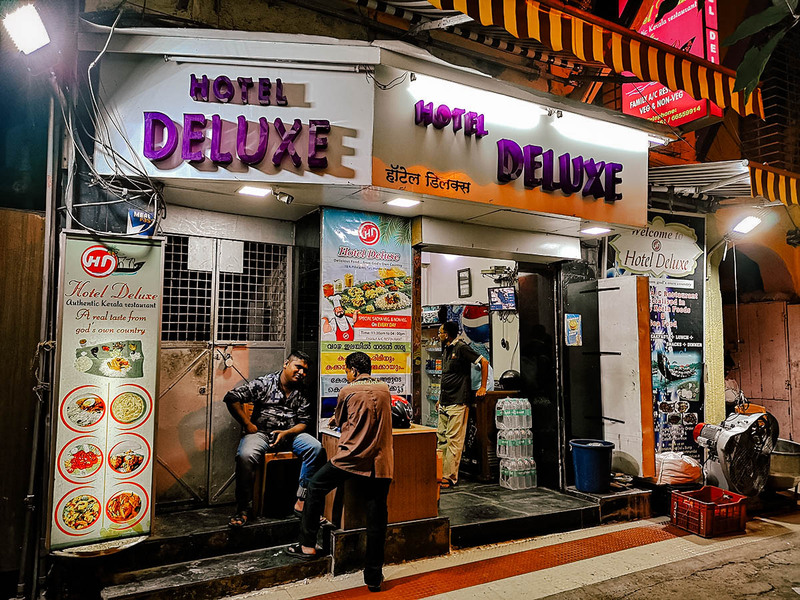 Hotel Deluxe isn’t actually a hotel, but a restaurant known for serving excellent Kerala thalis and sadhyas in Mumbai. Technically, a thali is the round metal platter used to serve food, but the term is also used to refer to the actual meal served on that platter. Popular throughout India, it consists of a selection of various dishes that can be either vegetarian or meat-based, depending on where you are. What I had was the sadhya which is a meal of traditional vegetarian dishes served on a banana leaf. 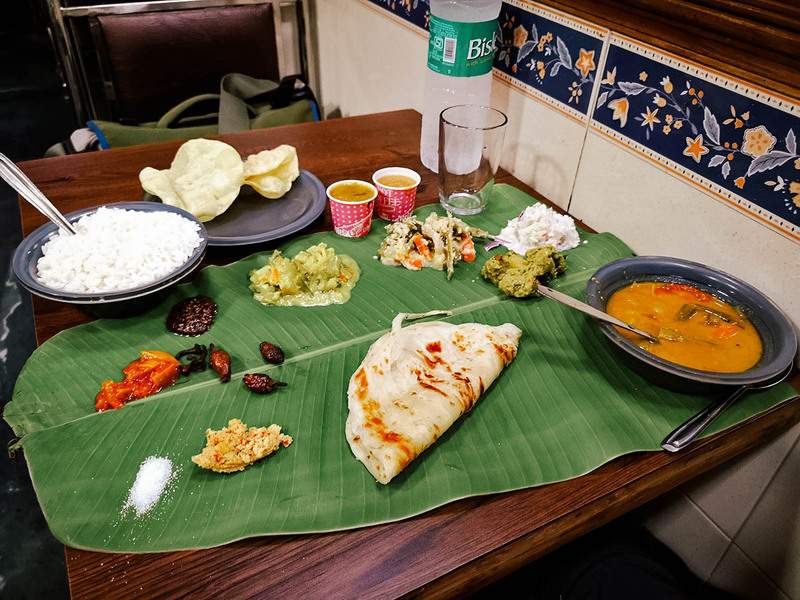 From what I understand, the main difference between a thali and a sadhya is the vessel on which it’s served – a metal plate vs a banana leaf. A sadhya is also specific to the southwestern state of Kerala and consists exclusively of vegetarian dishes. 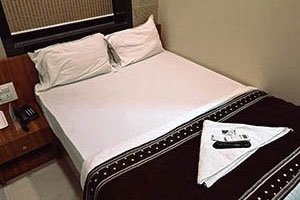 Hotel Deluxe is located in an alley about a 10-minute walk from Chhatrapati Shivaji Maharaj Terminus. Like Hotel Deluxe, Gomantak Boarding House isn’t actually a place of lodging, but a restaurant known for serving good thali meals. 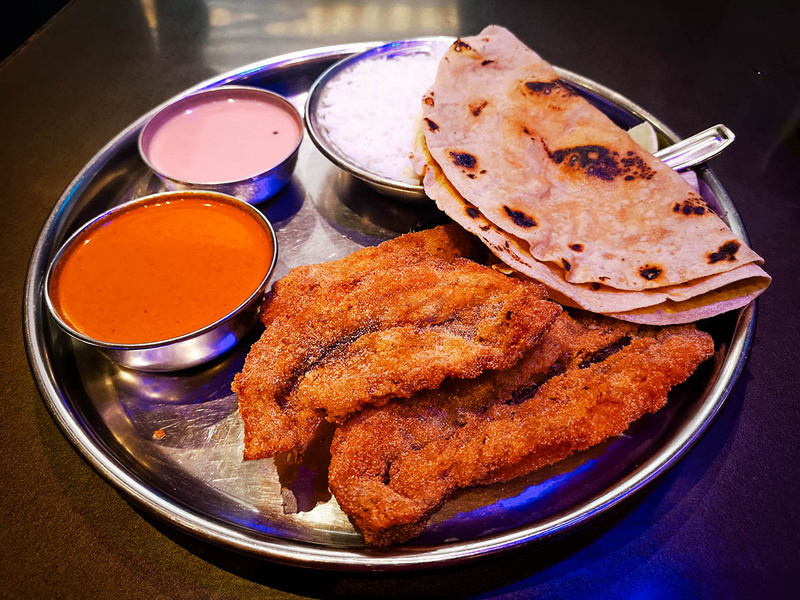 One of the thalis many people come for is the bombil or bombay duck fry thali, which isn’t a duck at all, but a type of lizardfish commonly eaten along the western coast of India. It’s especially popular in the state of Maharashtra so it’s a dish you should definitely try when in Mumbai. The Bombay duck fry was exactly how I expected it. Crisp on the outside and buttery soft on the inside, it’s like a breaded, deep-fried fish fillet except it’s coated with a rice flour and semolina mixture. The bombil fry thali is served with two types of curry sauces, rice, and couple pieces of flatbread. 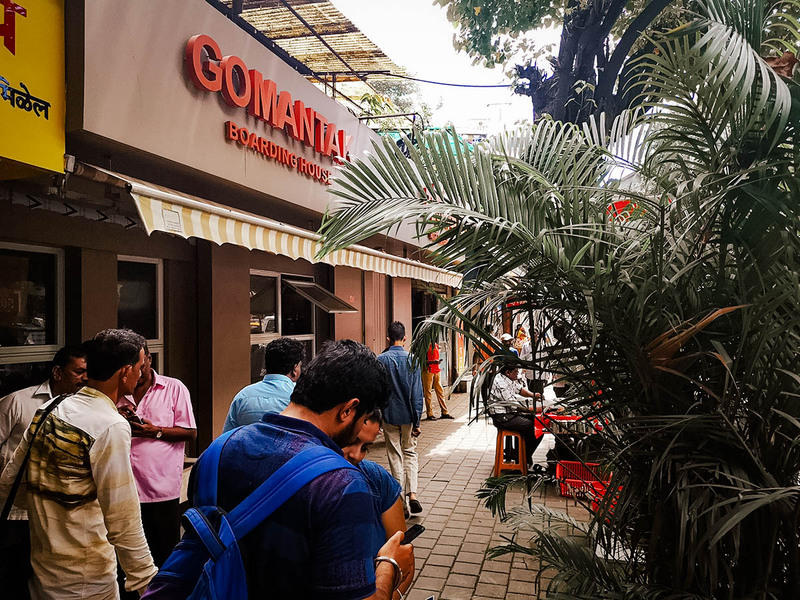 As described, Gomantak Boarding House is relatively near Ashok Vada Pav in Dadar so you can visit both places on the same trip. You can take the metro to Dadar station and eat your way to both places. This last entry isn’t a single restaurant or stall but a collection of street food vendors. The term khau galli roughly translates to “food alley” and refers to any street with a sizeable cluster of street food stalls. I had this delicious masala dosa thali – which is a type of dosa filled with rice, lentils, potato, methi, and curry leaves – at Nariman Point Khau Galli near the southern end of Marine Drive. If you’re planning on walking the entire length of the Queen’s Necklace, then this khau galli is a good place to fill up your tank. 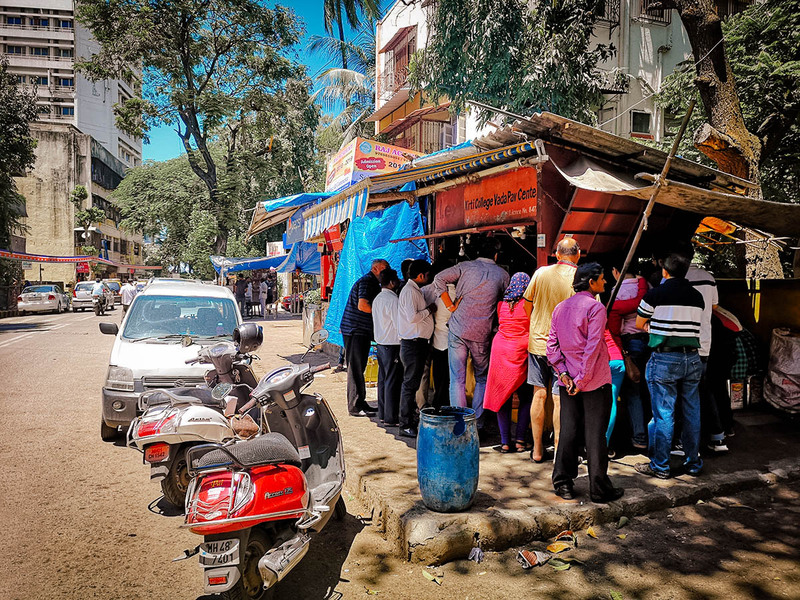 There are plenty of eateries to choose from at Nariman Point Khau Galli, but I went with the dosa stall because it attracted the biggest crowd of people. When in doubt, always go where the locals go. To make it easier for you to visualize where everything is, I’ve pinned all the places mentioned in this guide on this map. One of the reasons why Mumbai was my favorite city in India was because of its convenient and efficient railway system. It’s cheap, about INR 10-40 per single journey, and can take you pretty much anywhere you need to go in the city. Don’t be frightened by those viral social media videos showing hordes of people fighting to get on trains. They’re true but happen mostly at the busiest stations during peak times of the day like rush hour. I took the train often and found it to be very comfortable. You shouldn’t need any other form of transport in Mumbai but if you need to take a taxi, then you can try ride-sharing apps like Uber or local competitor Ola first. People say they’re reliable but I tried Uber in Kolkata and had a tough time booking rides. Drivers would take forever to show up so I wound up canceling most rides and giving up on it altogether. It may be more reliable in Mumbai. I’d take a taxi only as an absolute last resort. Not once did I hop into a taxi, tuk-tuk, or rickshaw anywhere in India without the driver trying to cheat me. It wore on me after a while so it’s not something I can recommend. Based on my experience, two full days should be enough to cover the major sights in Mumbai. Here’s a sample 2D/3N Mumbai itinerary to help you plan your trip. This is subjective. I was put up at the Hotel Flora Fountain in the Fort area for around USD 55 a night, which I think is a little high. A quick search on AirBnB shows many listings in the Fort / Colaba areas for around USD 30-40 a night. Expect to pay as little as USD 5 a night if you’re staying in a hostel dorm room. Food is cheap anywhere in India. Even my splurge meal of butter garlic crab at Trishna amounted to a relatively modest INR 2,846. 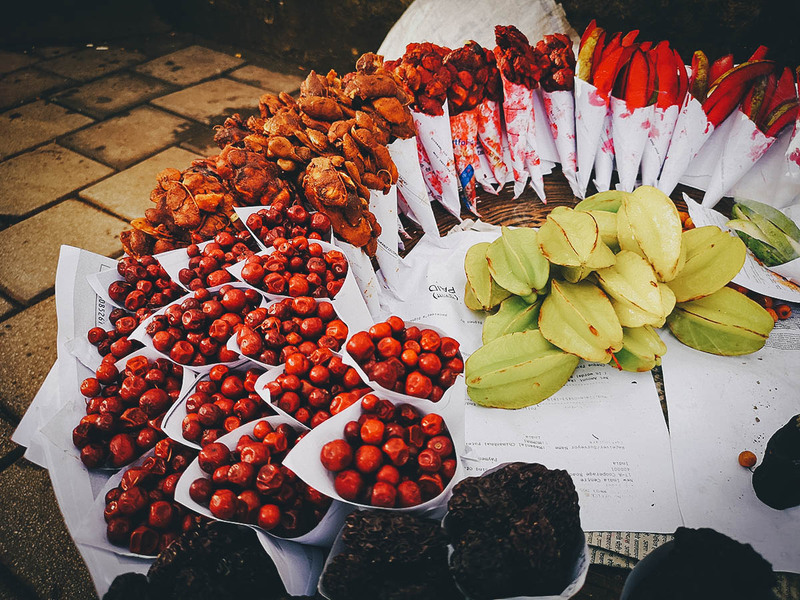 If you go for local restaurants and street food, then around INR 400-500 per day will have many people bursting at the seams. As described, the railway system in Mumbai is cheap. You’ll be paying no more than INR 40 per single journey so a transportation budget of around INR 50-80 per day should be enough. Assuming you’re going on a Dharavi Slum Tour, visiting the Prince of Wales Museum, and exploring Elephanta Island on your own, then expect to pay around INR 1,260 on attraction fees. The cost to rent a pocket wifi device from Trabug starts at USD 2.49 per day. This comes out to about INR 2,186 a day per person. Ren and I are middle of the road travelers who enjoy good food and drink, so the recommended budget is a good baseline for travelers like us. Adjust accordingly based on your own travel habits. This has been my go-to trip planning app since 2014. It allows me to pin all points of interest on a map so I can see where everything is. If something is too far, then I may take it out. If a bunch of places are within the same area, then I’ll move them all to the same day. That way I can create as efficient an itinerary as possible to maximize our time. Check out my post on the Sygic Travel app for more information. Sygic Travel is what I used to create the location map above. You can also view it as a day-to-day itinerary on Sygic Travel or download it in editable Word format from our EAT-ineraries page. It covers Kolkata, Mumbai, Delhi, and Agra. Having a reliable wifi connection is a must when traveling, especially when you’re in a country that can be as frenzied as India. When I’m in an uncomfortable situation, it gives me great comfort to be able to do research and navigate with Google Maps. It just makes the experience less stressful and much more enjoyable. This trip to India was unexpected and put together quickly so I wan’t able to rent a pocket wifi device in time. Thankfully, I had my Pokefi which is a global wifi device, but if you need to rent one in India, then you can try Trabug. I don’t have any experience with them but the online reviews seem to be good. I love street food but in India, I had to be more careful than usual. Traveler’s diarrhea or “Delhi Belly” is a very real thing which doesn’t happen only in Delhi. I was being careful but I still got a bout of it in Mumbai. The culprit I believe, was ice cream. Thankfully, my case wasn’t too bad but I’ve heard horror stories about how crippling diarrhea in India can be. Eat at popular stalls. The more people eating at a stall, the fresher and safer its food is likely to be. Avoid dishes and drinks with water. Water is the leading cause of traveler’s diarrhea so it’s best to avoid dishes made with any water or sauce. Ice cubes are always a no-no. Even fruits or vegetables washed in undistilled water are suspect. If you can, try to look for stalls that make their food using distilled water. Fried or grilled dishes are safer. Heat kills bacteria so fried or grilled dishes are generally safer to eat. The same rule applies to drinks. Hot drinks are typically safer because the water used to make them has been boiled. When eating street food, try to stick to veggie dishes as well since you don’t know how long meat has been sitting out. I prefer exploring places on my own so it isn’t often that I go on guided tours, but I did in Mumbai. I went on this Dharavi slum tour and this public transportation tour. I went on these tours because I wasn’t 100% comfortable about visiting Dharavi and Dhobi Ghat on my own. I didn’t know what to expect so I wanted a guide to show me around and explain everything to me. I was completely satisfied with the Dharavi slum tour and would happily recommend it to anyone. However, I was bit disappointed with the public transportation tour because I was hoping to explore Dhobi Ghat more closely. Instead, we just observed from a distance which is something I could have done on my own. My guide did explain to me why that was, but if you have a particular interest in Dhobi Ghat and want to see it from up close, then I suggest searching for an alternate tour on Get Your Guide, Klook, or Viator. I’m not sure if it exists but it’s worth a try. Get Your Guide and Viator offer more tours in Mumbai but I use Klook more often. I use them to buy vouchers for pocket wifi rental, transfers, discount passes, etc. I find their prices to be the most favorable. All three are reputable tour providers though so you can’t go wrong with any of them. I talk about weighing the need for travel insurance in all our travel guides. If you plan on doing something physical, then I suggest getting it. But if not, then you may not have to. In India, I think you should get it either way. India is different so I think getting travel insurance is a must. The very real threat of Delhi belly alone makes it comforting to have. I’ve heard travel bloggers coming down with incapacitating cases of traveler’s diarrhea in India. They describe it as being far worse than any diarrhea they’ve contracted anywhere else in the world. Yikes! 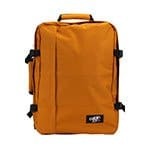 We buy travel insurance from World Nomads because every long-term traveler I know recommends it. Follow the link or use the widget below to learn more and get a free travel insurance quote from World Nomads. India has Type C, Type D, or Type M electrical outlets so be sure to bring the right power adapters for your devices. Electrical voltage is 230V and the standard frequency is 50Hz. This brings me to my last and perhaps most important tip – stay cool. People either love or hate India. There doesn’t seem to be any middle ground and there’s a reason for that. To put it mildly, India is a different animal. It can be challenging at times to travel through this country. Order and discipline can sometimes feel like foreign concepts which can lead to frustration if you let it. If you’re from the west, then you can’t come here expecting things to work like they do in your country. Things will just annoy you to no end. I come from a similarly undisciplined country like the Philippines and even I found myself on the brink of losing it a couple of times. When something tries your patience, just take a deep breath, have a look around, and remind yourself where you are. You’re in India. It’s supposed to be like this. No way am I an expert on Mumbai but I do hope that you find this guide helpful. I’m only sharing some of the things I learned from our trip. If you have any questions, then please feel free to ask us in the comment section below. You’re welcome to join our Facebook Travel Group as well. We’d love to hear from you. Thanks for stopping by and have a great time exploring Mumbai! A Chef’s Tour flew me to India to document their food tours in three cities – Kolkata, Mumbai, and Delhi. They paid for my airfare and accommodations and gave me free tours in exchange for an honest account of the experience. Everything else in this guide was at my expense. As always, all thought, words, and opinions expressed in this post are mine and mine alone. This travel guide contains affiliate links, meaning we’ll get a small commission if you make a booking at no extra cost to you. We only recommend products and services that we use ourselves and firmly believe in. We really appreciate your support as this helps us make more of these free travel guides. Thank you!